TV's "Carol Brady" herself, Florence Henderson, has died. A lovely lady whose TV character will forever be remembered as one of the medium’s all-time best moms is no longer with us, as the Associated Press is reporting that actress Florence Henderson has passed away. While Henderson’s career spanned decades and she was even seen at the taping of Dancing With The Stars earlier this week, Henderson will most be associated with the role of mom Carol Brady on The Brady Bunch and its various spin-offs. She even appeared in The Brady Bunch Movie in a memorable cameo. 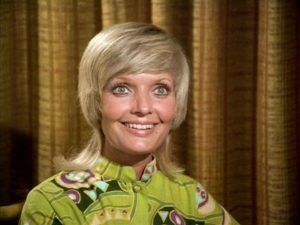 Viewers can pick out a Brady episode just from the look of Florence Henderson’s hair in a particular episode, and although the actress was quite glamorous, some of her hairstyles from the show have not aged well.